Bradley Madsen is an in-demand low-brass freelance performer. 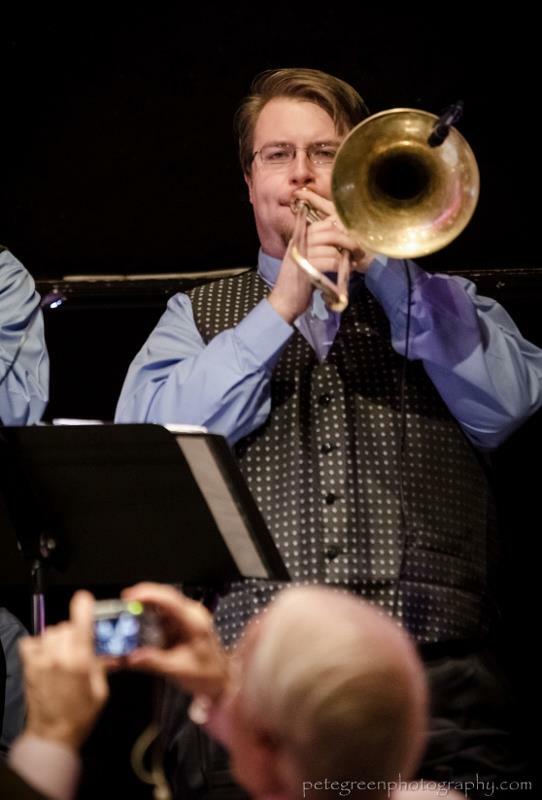 Performing on Alto, Tenor, and Bass Trombone, Valve Trombone, Euphonium, Tuba, and Bass Trumpet, Brad performs in a wide variety of ensembles, styles of music, and settings. From playing jazz at venues such as the Iridium to performing at Carnegie Hall, Brad is happy performing anywhere and for anyone. He is a member of some of the area's finest ensembles, such as Glenn Franke's Big Band, the Yonkers Philharmonic, the Party Shop, and others, and performs as a sub for numerous other groups. As a leader, he is busy in the wedding and corporate world, booking jobs for some of the areas most exclusive clients. He runs Clarity Brass, one of the areas most virtuosic and dynamic brass quartets, and is a co-leader of Best Day Ever, one of the area's most exciting top 40 bands. Brad is also a contractor, booking musicians for such notable shows as Burlesque to Broadway and My Sinatra starring Cary Hoffman. As an arranger, Brad writes big band charts, brass ensemble works, horn arrangements.... Notable commissions include works for the Brooklyn College Brass Ensemble, and big band charts for Chris Zalewski and the Alcatraz Fugitives. Ku-Umba Frank Lacy - "the first rock trombone player,"
Marty Fagin, co-owner of the now closed Puppets Jazz Bar - "Bradley Madsen is one of the best trombone players around! His versatility and smooth sound are currently unmatched in the jazz world."